Made with beef, potatoes, carrots, mushrooms, and curry roux, this savory and hearty Japanese beef curry make a fabulous introduction for new curry eaters. Adapted to Japanese taste, it’s milder, sweeter with a stew-like texture. Even children enjoy it thoroughly! You have to give this easy recipe a try. 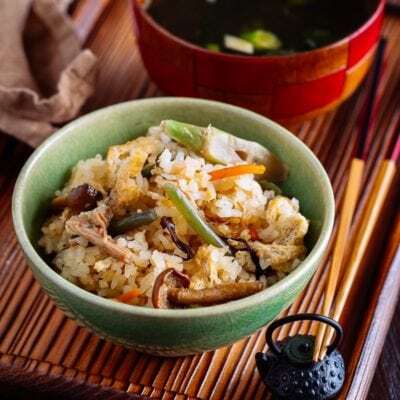 Japanese Curry Rice or Karē Raisu (カレーライス) is extremely popular dish for all ages in Japan and it is considered one of the country’s national dishes along with ramen and gyoza! This Japanese beef curry dish takes a bit of preparation but the end result is super delicious! Savory and hearty Japanese beef curry made with beef, potatoes, carrots, mushroom, and Japanese curry roux. Curry was introduced to Japan by the British in late 1800s in the form of curry powder, and it was adapted to Japanese taste. 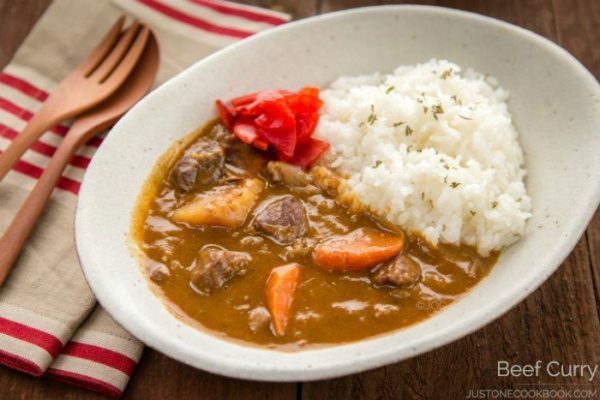 The flavor of Japanese curry is quite different from Indian or Thai curry. Japanese curry is thicker, milder, and sweeter and always served with rice. We don’t have the choices of yellow, red, or green curry like Thai curry, but instead there are usually three degrees of spiciness indicating mild, medium hot, or hot. This recipe uses a box Japanese curry roux, which can be found at Asian supermarkets or an Asian food isle at your local grocery stores. All the curry spices are packed in a form of solid roux resembling a block of baking chocolate. To avoid “out of box” taste, mix up 2-3 different brands of roux and add your own condiments (e.g. Worcestershire Sauce) to enhance the flavor for the curry sauce. If you want to make curry roux base from scratch, I have the recipe for homemade roux. Japanese curry usually includes a protein of your choice (usually beef, chicken, pork, or seafood), onions, potatoes, and carrots. 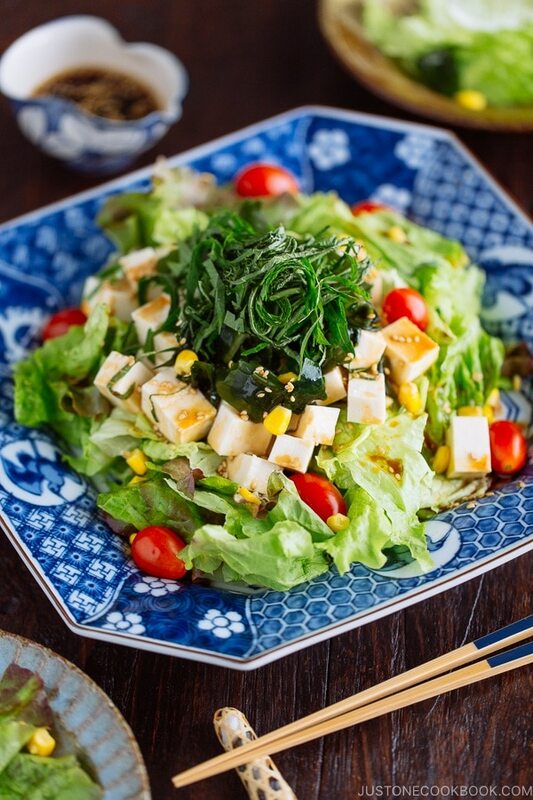 For vegetarian option, you can add firm tofu right before you serve just to heat it through. The recipe I shared today is for Japanese beef curry. Just like a comforting pot of stew, you don’t need expensive cut of meat for Japanese beef curry because of its long simmering time. One of the important steps is to brown the beef chunks to bring out the flavor. Once the sauce is thicken, you will be rewarded with a delicious curry with tender pieces of meat in a rich, velvety sauce. 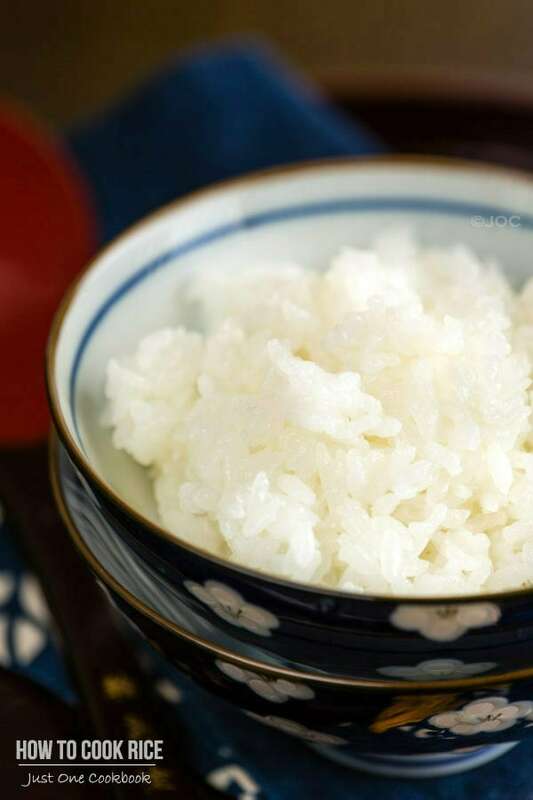 It’s absolutely heaven when enjoyed with steamed rice. This is also a freezer-friendly recipe so you can make a big batch to enjoy later. If you want to skip the simmering time for curry, you can try out my Pressure Cooker Japanese Curry recipe. 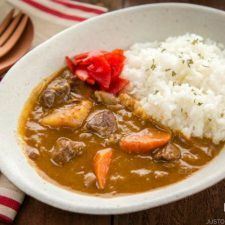 If you are interested in other Curry recipes, check out 15 Japanese Curry Recipes You’ll Love. Made with beef, potatoes, carrots, mushrooms, and curry roux, this savory and hearty Japanese beef curry makes a fabulous introduction for new curry eaters. Adapted to Japanese taste, it's milder, sweeter with a stew-like texture. Even children enjoy it thoroughly! You have to give this easy recipe a try. Cut the onion into thin slices. Cut the carrot diagonally while rotating it a quarter between cuts (in Japanese we call this cutting technique “rangiri”). Cut the potato in half, and then cut each piece into quarters. Soak in water for 15 minutes to remove the starch. Clean the mushrooms (I use a pastry brush and avoid washing mushrooms as they absorb moisture. However, it's okay to quickly rinse them.). Then cut them into thin slices. Cut the beef into 1 ½ inch cubes and sprinkle salt and pepper. Then lightly coat the meat with the flour. In a cast iron skillet, heat 1 Tbsp oil and 1 Tbsp butter on high heat. Add the beef in the pan but do not crowd the skillet as you would end up "steam" the beef. Make sure to cook in batches. Cook the beef on both sides until brown, about 10-15 minutes. If you cook in batches, transfer the cooked beef to a plate and work on the next batch. 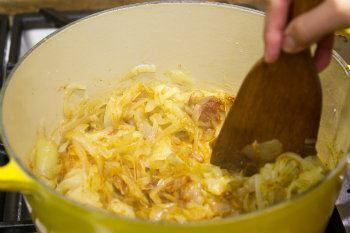 In a large heavy bottomed pot or large pot, heat 1 Tbsp butter on medium heat and add the onion. Add 1 Tbsp olive oil and stir to coat the onion with the oil. Add 1 tsp salt after 10 minutes and sauté the onion until tender and translucent, about 20-25 minutes. Add garlic, ginger, curry powder, and tomato paste and sauté for 2 minutes. Add the beef and the wine and let the alcohol evaporate, for 5 minutes. Add the vegetable and pour the beef broth until it covers the vegetables (You do not need to use all of it). Cover with the lid and bring it to a boil. When boiling, skim off the scum and fat from the soup. I prepare a 2-cup measuring cup and clean my fine mesh skimmer in the water. It’s easy to remove the scum/fat from the fine mesh this way. Add bay leaf, cover with the lid but leaving slightly ajar, and simmer until vegetables are tender, about 20 minutes. Once in a while, skim the broth to clean the surface of the broth. Add the leftover beef broth (or water) only if necessary (evaporate too much). Once the ingredients are all tender, add curry roux. Turn off the heat. With a fork/chopsticks, let the curry roux dissolved completely inside the ladle and then release to the broth. That way, the undissolved roux won't end up in the broth. If the curry is too thick for your taste, add water to dilute. From this point, cook on the lowest heat and stir often and be careful not to burn the curry! Add milk and Worcestershire sauce. 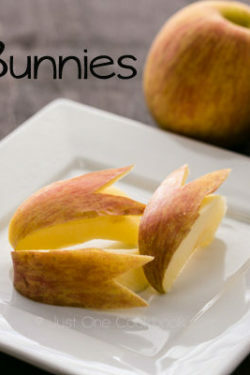 Grate the apple to add a hint of sweetness. Simmer uncovered on the lowest heat, stirring occasionally, until the curry becomes the consistency you like. Serve the curry with Japanese rice on the side topped with fukujinzuke. 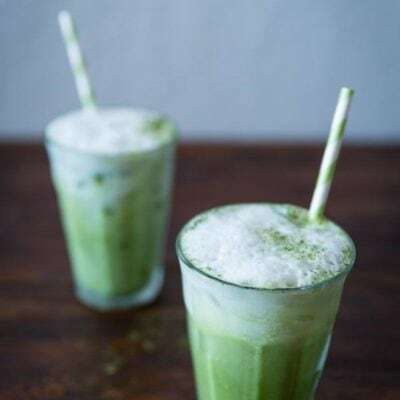 Editor’s Note: This post was originally published on April 15, 2011 and has been updated with new pictures/video and revised recipe instructions. Finger licking curry.. love the color..
Macaroni salad is indeed typical in Hawaii! I came to your website because I am making macaroni salad and wanted chicken katsu curry as well! Thank you for sharing your recipes. This sounds very delicious Nami, I love how you made this, I do make it very similar, I never used curry..but will try it!!! Great recipe, thanks so much for sharing!!! Kudos to you Nami for having the patience to carmelize onions for an hour! I seen why you don’t make this on a week night. This is another stick to your ribs dish and it looks great. We use lots of roux in Creole cooking and have to stand at the stove stirring flour and oil until it gets to the right shade and the flour taste cooks out. Hi Mika-san! I know… it’s tough not being able to eat curry! You should eat curry when you go to a Japanese restaurant! Or start cooking curry so he has no dinner but curry and he’ll get used to it! LOL. I love, love Japanese curry rice. When my husband surprises me by picking me up for lunch at the office, we almost always go for Japanese food. When it’s not sushi, it’s curry rice for me. Yours definitely doesn’t look out of the box. Yummy! Hi Jean! I know you live in the Bay Area – wonder if we are close neighbors! We’re lucky there are several nice (and good) Japanese restaurants around here (that I can say authentic enough). I loved how you cooked homemade curry in your past post. I usually use roux and add in other stuff so at the end it would still taste like Japanese curry. LOL. I had no idea Japanese curry existed and this looks so yummy and earthy! I’ll see if I can find the Japanese curry roux here! I love your blog: I can learn so much! Thanks Nami!!! wow that’s a lot of onions for a curry stew. I love japanese stews also. I ate the most amazing one in a stand-up-and-eat, hole-in-the-wall eatery in Osaka. I will never forget how nurturing and delicious it was. nevermind that they made me stand up to eat it, they made the curry with a lot of care and consideration. Hello Amy! Wow you must had a great curry in Osaka! I know what kind of place you are talking about. I miss those curry restaurants in Japan… Thank you for coming to my site!! So interesting! I didnt know that curry was such a popular Japanese dish. I am a BIG curry fan. This sounds delicious. Hi Nami! That looks realllly good! Thanks Dee! Haha I’m glad I’m inspiring you in some way because I get even more inspired by you. 😉 Well, not just the food, but home decor and all. Hi Nami! I’m going to make this tonight but I have different sizes of the curry roux box. I’ve got the 250g and 119g box. How much of the roux cubes did you use for this recipe? I’m sorry that my response was slow. I use bigger curry box all the time. I recently made Japanese beef curry using a package of Glico brand roux from my pantry and though it tasted very good, the sauce was a little too thick as I added too many potatoes and they broke down into the sauce. Of course, you learn each time you make something and I was using the recipe on the box which was very basic. I should have come here, of course for more information. Since I found that my posts get tagged for moderation if I include web links I won’t include one to the post but it can be found using the “japanese” tag on my livejournal. Japanese curry is by far my FAVORITE curry ever. I normally buy S&B’s and add everything I want. It takes a long time, but I don’t mind. I freeze the leftovers and it’s perfect for a quick dinner! Did you use a whole package of the curry roux? Hi Ken! Thanks for your question! I’ll edit the recipe now, but I meant “1 box of Japanese curry roux” for this recipe. What kind of wine do you use? I have to admit I don’t know anything about wine. Can I use red or white cooking wine? Hi Justin! Any red wine would be great but the general rule of thumb is to use something you are willing to drink. You can drink the same wine with the dish as well. My suggestion is burgundy and zinfandel. It adds a deep flavor. A good cab, Pinot, Shiraz is also a good choice. I’m not sure about white wine – usually beef with red wine. 🙂 Hope this helps! Cooking is definitely my passion, and I followed this recipe of yours about a year ago. It was literally the most delicious dinner I’ve ever made. I grew up on my (Vietnamese) Father’s chicken curry, but it couldn’t hold a candle to this. When my friends come home for the holidays, I’m planning on making this for them and also trying out your Nama Chocolate recipe! Hi Aubrey! I’m so happy to hear you made this before and will make it again (especially my pictures are not so great…). Thank you for trusting the recipe and trying! 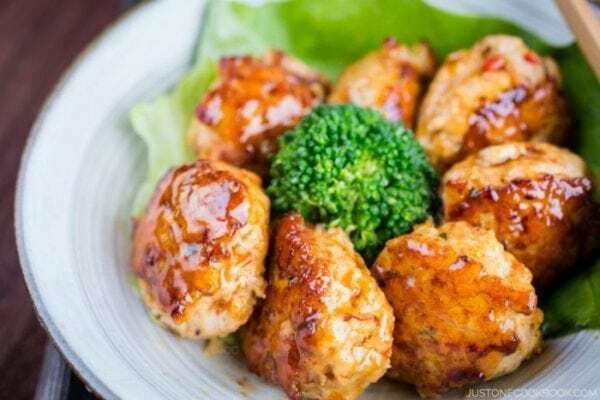 Really like your recipes, tried it and it is delicious. Just one small question. How come your caramelized onion looked so white? I thought it should be brown. Hi nami, love your blog! I want to cook japanese curry for my son, but he’s allergic to fish, could you please tell me how to identify if there is any fish ingredients in the japanese curry (and other) roux? Thank you! I’m very interested in trying your recipe. How many ounces (or grams) was the size of the box for the curry roux you used for your recipe? Do you recommend a certain brand of roux? I have S&B. Also, for the garlic…did you mean 2 garlic cloves or 2 whole garlic heads? I made this recipe twice since I wrote to you in March and both times it was absolutely amazing! Thank you so much for sharing! I’m looking forward to trying your other recipes. I have 3 questions. (1) Why do use both the Japanese curry spicemix (rouge) & also another curry powder? (2) Can the wine be ommited? (3) How can I make a meatless curry gravy base that I can use for serving with different kinds of meats on different meals. TQ& look forward to hear.from you. Hi Hank! Thank you for your kind words. 🙂 Here are my answers to your questions. 2) Sure, you can omit the wine, and it won’t hurt. It adds bold flavor to the beef. But again, I’m trying to make the regular beef curry a bit more complex and go beyond regular curry with curry roux (meaning, someone else who makes with the same curry roux will have the same flavor… and I just want to make it more original). 3) You make the curry without meat. Then on the side, you cook beef/chicken/pork/seafood in a frying pan. You can either scoop some curry out to a small pot to cook with one kind of meat further, or you can just add the meat when you serve. Hi….please help. i really want to try this, since my husband loves Japanese Curry. Apple Sauce with grated apple? Can i freeze the left over (omitting the potato for sure)? Hi Mira! Yes, you can use grated apple. And yes you can use sake. Yes, I always freeze leftover (minus potatoes). 🙂 Hope you and your husband enjoy this. I’m trying this curry because my husband loves japanese curry but I have a question regarding the meat. Instead of beef chuck, can I replace it with beef shabu shabu or beef sukiyaki? I’ve eaten japanese beef curry with really thin slices of beef before and I was wondering if I could just replace it in this dish or would it change the cooking process? I’ve always wanted to try this dish, but I can’t use potatoes (allergy–seriously). What would work as a substitute? Hi Aquaria! Don’t include the potatoes. It’s okay without it. 🙂 If you want similar texture, you can add kabocha. But really, not necessary. 🙂 I hope you enjoy! Namiko-san ~ I prepare ‘curries’ multiple times a week [well, there are over 20,000 in India alone 🙂 !] but have never had the Japanese version ~ I guess more the various Indian provincial, Sri Lankan, Indonesian and Malaysian besides the famed Thai ones!! Have to try 🙂 But have to admit I rarely use curry powders but make my own spice mixes . . . . will be fun to follow your recipe!!! Methinks many ‘British’ foodies also mix and roast their own spices now: it was different during the Memsahib period of the Raj when most food was cooked by local staff 🙂 ! Depends whether one develops a ‘love affair’ with cooking such! After all ‘curry’ really just means ‘a dish with a spicy sauce’ 😀 !! One of my favourite ones actually is a fusion South African!! The ‘buffet party dish’ I oft make is as much curry as the Japanese one – ie, fusion!! A number available, but if you have a crowd over,’ bobotje’ is kind’of fun!! Easy and you can make it ahead and everyone seems to like the milder flavour 😀 !! I love the addition of the grated apple at the end. My mouth is salivating! I love curry and this is the perfect recipe to introduce it to my family. Thank you for sharing! You mentioned here “For vegetarian option, you can add firm tofu right before you serve just to heat it through.” but it’s a bit misleading since store-bought roux typically contains lard or beef/chicken extract. As a vegetarian, I was happy to find your home-made curry roux recipe! Will definitely try it! I think you know how much I love curry and this one looks SO good! Beef, mushrooms, potatoes, carrots, yum! My local grocery store carries that curry roux and I’ve always wanted to try a recipe with it. I will definitely be trying this one. This looks deliciois! I need to stop at the Asian supermarket so I can get some of this stuff! I love anything that has the word “curry” in it…so hard to resist! : ) I’ve made your chicken curry a few times (wonderful!) and I’m sure this beef one is as divine as it looks. Thanks for sharing your recipe, Nami! I like the thickness of Japanese curry…delicious. And I’ve got to do a mixed mushroom version of this – yum!!! Only you could make curry look as fancy as this. I am going to try this one day after I go the meat market. Wow Nami this video is fantastic and my favorite one so far. Apple in Beef Curry, who knew! Love, love, love this video!!! Thanks for sharing this recipe, and the video looks fabulous! =) I haven’t had curry in the longest time, and now I’m definitely craving some. I’ve never tried adding milk or grated apple at the very end (though I usually buy the “riingo” flavored curry roux), so I’m excited to see how that tastes the next time I make a big batch. Hi Nami, japanese curry is one of my favorite.I also use the same brand for japanese curry. The additions you have made are really interesting. You know its funny but I just love how you clean the mushrooms with a brush in the pic… I use paper towel and they get scar on them… Love this!!! OMG this beef curry looks so good I just want to jump through the screen!! Hi! Love how you provide homemade recipe for those of us who are trying to reduce use of processed ingredients. If I am to use the homemade roux, how much should I make or use? So sorry for my late response! I just found your comment in my inbox! If you make homemade roux using my recipe, you need to use all of roux you make. 🙂 I apologize for my late response! I love the fact that is milder and sweeter than the Indian and Thai ones! It’s incredible how the ingredients traveled around the world, we are talking of commercial activities from a very long time ago. Curry is from India, right? and it becomes popular in Japan..as well in South America. 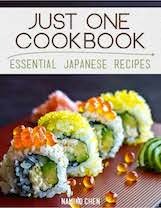 I had no idea was also part of Japanese cuisine. Very curious to try the difference and Ill have to go hunt down some of that boxed roux. Shortcuts can be so practical in such cases. Looks wonderful. Beautiful curry bowl! I should maybe try making the roux on my own… because whenever I tried making Japanese curry I never warmed up to it (my Japanese friend found it very weird since I love very “exotic” Japanese dishes and even prefer natto than curry!). Thank you for sharing the roux recipe too! It might change my view of this curry. I actually had *no* idea that there was Japanese curry. Now I feel silly! I am a huge fan of both Thai and Indian curry. I always see these blocks of roux at my local Asian market and now I know what to do with them. Thanks for sharing! 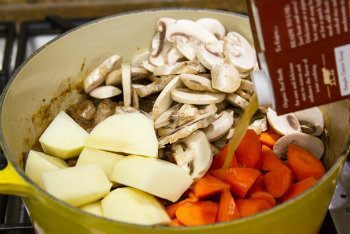 I often make Japanese curry, but I did not know about using milk, Worchestershire sauce or grated apple as ingredients: will definitely be trying these additions! I love getting advice from an authentic source, thank you Nami! What a big, comforting bowl full of deliciousness! My husband loves curry and would surely enjoy this. It looks so flavorful, warm and easy to make. Thanks, Nami! I adore this kind of curry!! Comfort food. Nope – curry is not something that I think of when I think Japanese food. This pot of beef and vegetables reminds me of a southern pot roast stew but the flavor is obviously quite different. I’m very curious as to what this curry roux taste like. It certainly looks terrific! Hopefully I can find this roux at the local Asian market. YUM! This beef curry looks so hearty! I love Japanese style beef curries…the ones they have in Japanese restaurants are yum. 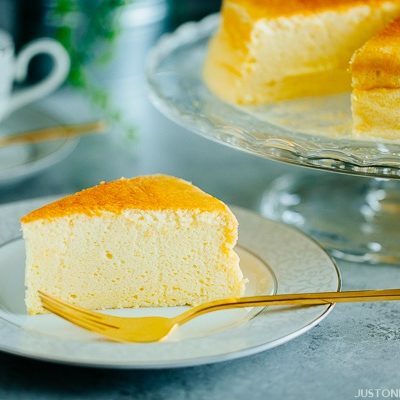 Your homemade version looks equally appetizing and is close to my heart…shall try this way! Omg, any type of Japanese curry makes my eyes light up!! There`s this curry dish where they wrap the rice with an egg, like omurice, and it`s my favorite!! Japanese curry has become hugely popular here in Bangkok with Japanese curry restaurants opening all over the place. I’m an addict, and eat it whenever I can as it’s a great change from very spicy Thai curry. There is no specific way to make curry. So you can make Beef Curry using my chicken curry recipe (that’s very basic curry recipe). If you have time, I highly recommend to cook on low heat for a long time, too. I like to sear the beef cubes which helps trap umami inside the beef. There are different ways/steps to enhance the flavors depending on ingredients. In general, you have to cook from hard texture ingredients first and veggies that cook fast should be added later on (depending on how long you plan to cook). Meat should go in earlier to adds more flavor to the stock. If you want to keep the texture of veggies, you have to decide when to add. Some prefer onions to be melted while others prefer to keep the shape, etc. Please write me back with any questions you may have if I didn’t answer your questions. 🙂 Hope this helps! Would love to make this for my family tonight. 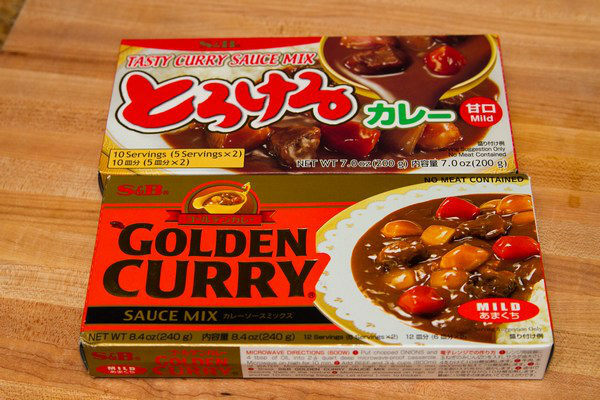 Your beef curry recipe asks for 1 box (7-8.4 oz, 200-240g) Japanese curry roux . Instead of using the boxed curry, I will try your curry roux recipe. 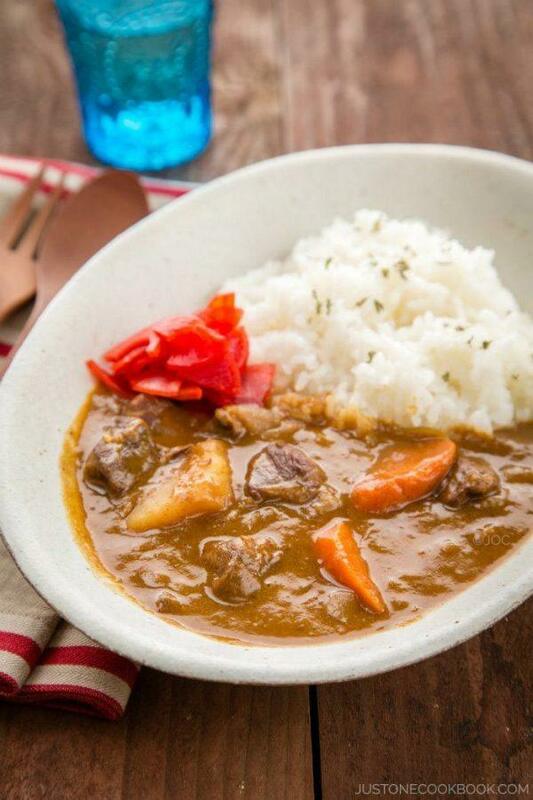 Your beef curry recipe asks for 1 box (7-8.4 oz, 200-240g) Japanese curry roux . What is the amount of homemade roux needed? Hi Shirley! The homemade curry roux is good enough for 4 cups of liquid. This beef curry requires 8 cups if you follow the recipe exactly (same amount of ingredients). Hope this helps. 🙂 I apologize for my late response due to my travel. Hi Nami – just to confirm, so the homemade roux would only make half of this beef curry? If I want to use the homemade roux recipe in this beef curry recipe, I should double the homemade roux ? Hi Mel! Yes, I’d double the recipe to be safe. This beef curry recipe makes more – when you add curry roux, gradually add in and taste. 🙂 Hope you enjoy! Just made this recipe and it tasted soo good! The step-by-step photos were really helpful. Looking forward to trying more of your recipes! Hi Audrey! So glad to hear you enjoyed this dish! I’m happy to hear you liked the step by step instructions! Hope you enjoy other recipes from my blog. 🙂 Thank you for writing! Thank you so much for sharing this recipe, Nami! I’ve always loved Japanese curry which we can only get from restaurants here in Manila. (Haven’t seen Japanese curry roux around.) It’s not easy too when I get cravings since the nearest Japanese resto serving good Japanese curry is almost an hour away, and always have long lines. Today, I made this recipe with the following modifications. 1. Used lamb meat instead of beef. 2. Omitted the wine. No wine for our grand children. 3. Used a Granny Smith apple instead of Fuji. 4. Did not serve Fukujinzuke. It was great. Next time I will used the Mild Hot Curry. Lovely recipe and delicious. Thank you! This is the best curry I’ve ever had, and I love your recipe! My entire Korean family goes nuts when I cook it this way, thank you! Simmering my curry as I type. Left out milk and butter because I can’t eat much dairy. Can’t wait until it’s done. …But did anyone else find that 32oz of broth is plenty? Hello! I’ve recently got into cooking curry and I’ve noticed a lot of recipes calling for thinly sliced onions (by the way, what is the best type of onion to use in your opinion?) but I’m not that partial to onions in that form. Would cutting them up in a different way mess with the overall curry? Thank you! I shall try it then. Also, do you know why the meat is to floured? Does this do something to the overall flavor of the meat? Hi Omo! We use flour to trap and absorb the juice and umami when you cook the beef. If you don’t use the flour, all the good flavor will go away. We use this technique for making stew etc. Hope this helps! Awesome! Thank you so much for answering my questions! Okay one more: does the type of rice one uses matter when eating it with curry? Hi, I believe I used your previous recipe from 2011 last year when I made this recipe. I did enjoy this most recent iteration, but I believe the previous version had me simmering the beef for much longer. Could you send me a copy of the old version? Should I omit the red wine if I’m not using beef? What about the broth? I’m going to make tonkatsu curry, so I’m making it without the meat, then serving it with the meat cut up next to it. My beef curry recipe takes a longer time and requires extra steps. If you don’t use beef, I recommend using my other curry recipe. You can omit chicken if you like. Use vegetables or chicken broth (or water) in that case. :). Hope you enjoy! I really love Japanese curry!! I’m going to try to make your version of beef curry, but I don’t consume alcohol. Is there any substitute for the red wine? or is it alright just to rule it out from the recipe? Hi Dian! It’s okay if you omit it. It adds depth to the flavor and it’s just nice addition. But I understand your situation and don’t worry about the red wine in the recipe. You’ll need to add more stock to balance out the liquid that’s going to be missing. 🙂 Hope you enjoy! I’m looking to entertain friends for an authentic curry dinner, and wondering if this recipe has the authentic Japanese ‘Kare’ flavor…with the wine and bay leaves I wonder if it tastes different. Also, if I prepare your homemade roux, do I need to double that recipe for your beef curry recipe? Hi Mizue! Thank you so much for following my blog! If we use the premade curry roux from the store, everyone will think it’s “familiar” taste, even though you add wine and bay leaf. They just add layers of flavors, but the curry is still from the block. If you make your own curry roux, they won’t be “familiar” curry roux taste. The premade curry roux has all the unnatural ingredients so you can’t really copy it… but instead, the flavor is really wonderful and many readers told me they prefer making their own roux now. If you make your roux, make sure you get extra just in case. WIth other ingredients (vegetables), etc, the volume of your curry may be different from mine and you might need more roux at the end. So it’s safe to make extra or keep the premade curry roux handy so you can add in case it’s too watery. Hope this helps…. I also don’t drink or use alcohol. I’ve used grape juice as a substitute for the red wine and I think it’s worked really well. Still tastes just as amazing! 🙂 Hope that helps! If we already have the curry roux, why do we need to add curry powder? Can I skip the curry powder then? Thanks a lot for sharing the recipe! I made this and it was awesome!!!! 1. The old recipe only uses 2 cups of beef broth and 2 cups of water while the new recipe calls for 8 cups of beef and with less cooking time. Was wondering if the the curry is more runny and salty with the updated recipe? Thanks again for sharing this great recipe! Hi ChelC! So happy to hear you liked this recipe! 1) I don’t remember the amount of beef and veggies I used for the old version of this recipe. Was it less, or same? As you see, this recipe requires quite a bit of ingredients, and 2 QT is what I used (added more liquid while cooking). 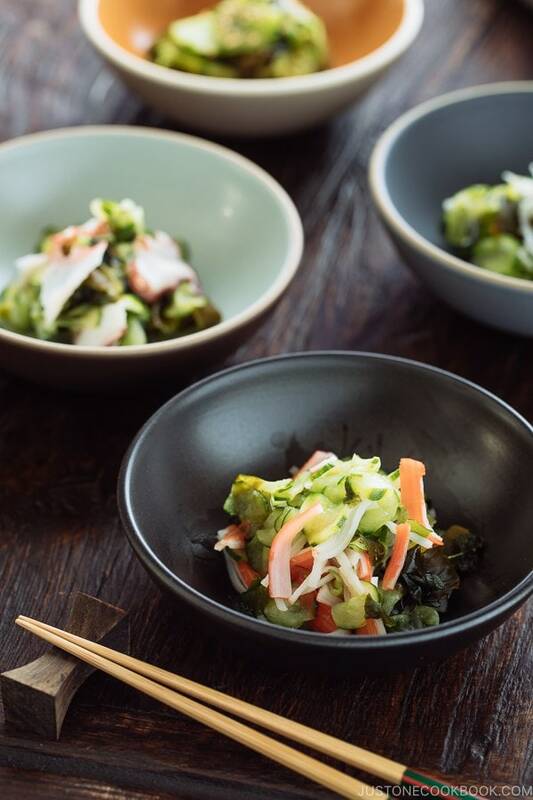 It’s hard to say about how runny it can be – as it is based on how much water veggies release and how much water evaporated during cooking process, but 8 cups is what was required to cook this time. If you cook for a longer time, the curry will be reduced and thicker, so it depends on when you stop cooking as well. 2) I love how I spend hours to slowly caramelize the onions. SO good. If you have the time, I’d highly recommend that. But I know most people don’t want to spend that much, so I updated with shorter cooking time (I wrote: “sauté the onion until it’s soft and translucent.”, not caramelize it). If you have time, please take extra time…. adds wonderful flavors! After adding the bay leaves, how long do you typically let it simmer before adding the roux? The first time I made this, the curry turned out perfectly, and I can’t remember how long I let it simmer… and the second time I made it, it had a hard time thickening after I added the roux. I’m wondering if I didn’t let it simmer long enough. I tried adding more roux, and ended up having to add some cornstarch to get it to thicken some. Still tasted great though. Hi Rebekah! The amount of liquid changes based on the stock and vegetables. Vegetables release water too, so it can be more than usual sometimes. Cook until the vegetables are tender – then you can add curry roux (don’t add the roux before – it’ll take a long time to cook, and curry tends to burn on the bottom, so not recommend to cook for a longer time after curry is added). So, if you’re worry, start with minimum amount of liquid that coves enough for the ingredients to cook. Then once vegetables and beef are tender, add the curry. If specified curry is added and too thick, you can always add more broth to dilute. It takes a longer time to evaporate when curry is loose. So that’s one trick you can do. Soon you’ll kind of know how much curry roux and broth you’ll need based on ingredients. Hope this helps! Made your curry a few hours ago and loved it!! Will kee this recipe whenever i need to do it again!! For how long can you conserve the curry if you made a lot? So happy to hear that! Thanks for trying my recipe! I’d recommend to freeze it. It tastes better than keeping in the fridge. 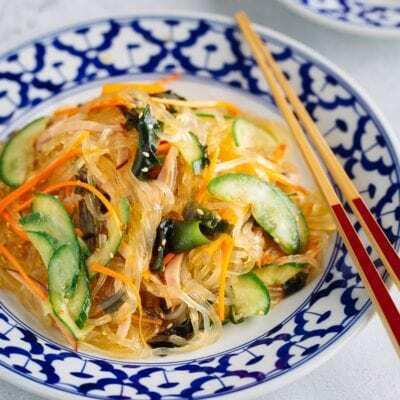 Put it in a glass container (plastic – curry will stain) and freeze for up to a month. Remove potato because it will be different texture once frozen and defrosted. Hope this helps! Do I have to add beef stock and red wine? Or can I use water for beef stock and cooking wine for red wine? Hi Nami! I just wanted to thank you for this wonderful recipe. I made it for my family last summer and they absolutely loved it. This week, my Japanese teacher is moving on to other pursuits, so my classmates and I wanted to throw her a party with her favorite curry (she likes vermont). Anyways, I’ll be making this recipe, since it was so amazing. Thanks again! Hi Nami, I just wanted to tell you, that I love your recipes. Its difficult to find good japanese recipes in Germany, most of them are “germanized”. Since I live near Düsseldorf, I have the luck to have various japanese grocery stores around me. I bought a box of S&B curry roux last week and found your recipe, so I decided to make your version today, the curry on your pictures look soo mouth watering that I can’t wait to be home and start to prepare this. I tried a few of your recipes now and all of them were awesome. Just tried your recipe, and it totally hit the spot! Definitely worth the extra time, and it made enough for me to eat for the rest of the week! Am I able to freeze the leftover curry? If I can, how long will it keep in the freezer? Thank you! Hi Kim! Yes! If you put it in an air-tight container, I’d say it’ll still taste great for at least a month. However, potato will change the texture. So I usually take it out (or try to finish eating) before freezing. If you don’t mind, you can of course freeze potatoes too. 🙂 Hope that helps! Oh! I remember your comment on YouTube! Thank you so much for feedback. It’s on my wish list… I have so many cooking gadget that I have to make sure I’ll use it… he hee. Hope I can make pasta with that too! Good to know I can use it for udon too. I really appreciate your feedback. Thank you!!! Can I make this with tofu? I’m not a big meat eater generally. sorry, just saw the description! Thanks for this site. 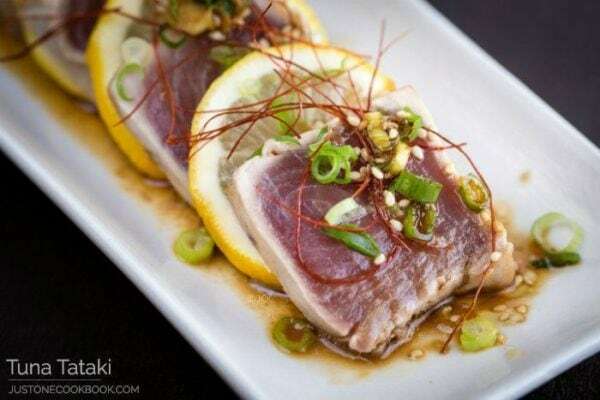 I love Japanese cuisine so much and this site is like a dream come true! This was really great, thank you for sharing! Oh, and I added a can of corn (my daughter loves corn) and it was perfect! I made this today (and homemade roux too). 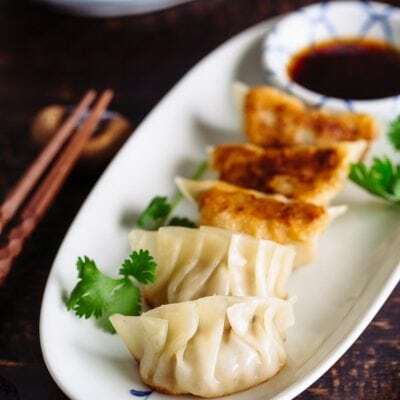 It has rich and spicy flavors, smooth consistence and easy to make it. We love it! Thank you for the recipe! Hi Nami! I just finished making this recipe (first time even cooking a meal myself!) and it turned out absolutely amazing. My dad, who’s the cook in the family, is pretty critical about other people’s cooking and he loved it a lot! I’m even more surprised everything turned out well because I substituted the red wine for cranberry cocktail juice! Thanks so much for sharing, definitely enjoyed making it and eating it. Where do I add in the box of curry mix ? I’m wondering if I missed it somewhere but I couldn’t find it. This was so fantastic. Reminds me of the time I spent in Japan. Great recipe. Do we use the whole box of curry roax? Made your Beef Curry last night. Yummy. I have 2 suggestions though. 2) The beef needs more time to simmer for tenderness. I would simmer the beef for 30-40 minutes before putting in the vegetables. Beef and vegetables should come out similarly in tenderness. Of course you could try the new Instant Pot Method for similar results. Hi Richard-san! Thank you so much for the suggestion! 1) I use Trader Joe’s beef broth and by far I like that best (in the similar price range beef stock, not one from a gourmet grocery store). If you have a TJ near by, give it a try, it’s not too salty like other brands in my opinion. Otherwise, I think you have a great suggestion! So thank you! 2) True, pressure cooker makes it really easy for cooking the meat part. Thank you very much for your great suggestion! 🙂 Arigato! Never knew it was this complicated… Would you know how many curry roux I will need to cook for 2-4 people? Wondering if its about 2 blocks of curry per person. Thanks! Hi Terrence! This particular beef curry is a special one – you will need to spend more time caramelizing onions etc, but you’ll notice the taste difference from a regular curry recipe like this. If you want a quick version, try this recipe with beef and beef stock (you can use chicken broth too). I was wondering if it would affect the dish if I were to cut out the red wine from the recipe. Does it make a difference? Big/small, or not at all? Hello! Instead of English Worcestershire sauce (Lea & Perrins), which I have just run out of, can I use Japanese Worcestershire sauce (Bulldog)? I was curious how long you should pressure cook before and after adding the potatoes? I am new reader from Taiwan. 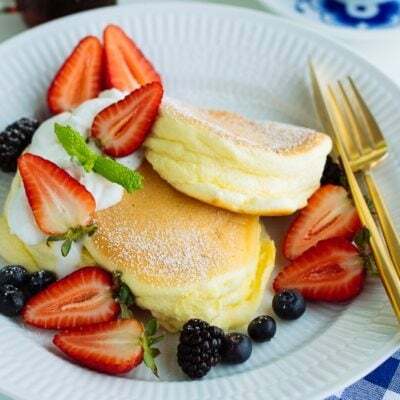 I like your recipe very much and tried several dishes …so great. I just followed recipe to make beef curry..that’s so amazing and wonderful taste. 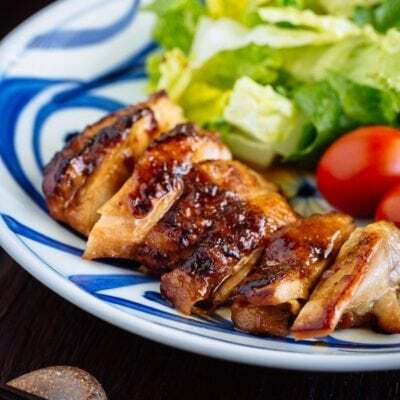 I recommend your website to my friends which we cannot read Japanese but want to learn Japanese dishes. Hi Iris! So happy to hear you enjoy my recipes and thank you for recommending my blog to your friends! Glad to hear you enjoyed this recipe. Thank you for your kind feedback! This is the biggest over complication ever… If you’re going to do all this just make your own roux. All you really need is beef, onion, potato, carrot, water, roux.. No broth, wine, milk… At this point you have basically made a second and possibly even third sauce within the curry…. Can I use the medium hot box curry roux for this recipe? Hi Jessica! Sure! Any spice level is good, and up to you. 🙂 Hope you enjoy! Is there something you can substitute the wine with? I don’t drink alcohol due to my religion. So if I were to use your homemade roux recipe would I need to make 2 batches of it for the curry one since it says that the roux recipe is only for 4 cups of liquid and there’s 8 cups of beef broth? Or does the seasoning in the Curry one mean that only one batch of roux is necessary? Hey Nami! Thanks a lot for your recipe! It seems to me like you use kind of a double concentration here, right? You got full beef stock as liquid + the curry roux. In the recipe of the curry roux they are only talking about adding water as liquid, no? This is not meant as a critique, I’m just wondering how you came up with this. Is the curry roux not strong enough? All the best! Hi, Nami! Thank you so much for this recipe – it’s the best Japanese Beef curry I’ve found. My daughter loves curry as much as I do, and I’ve looked hard for the perfect recipe. 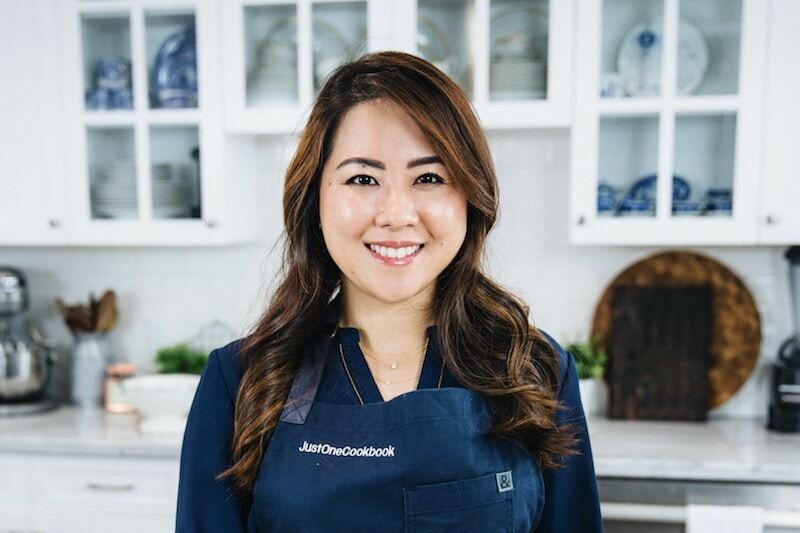 I love your site, and hope you continue to make wonderful dishes! I made my own roux and garam masala mixture. I plan on making curry for the first time. I need to make 2 batches: a vegetarian one with fake meat and a regular beef one for my husband. Mine needs to be mild, but his needs to be spicy. What can I add to his to make it more spicy in flavor? Hi Ramon! I’m glad to hear you enjoyed my Keema Curry recipe! HOpe the Beef Curry came out well. Thank you for your kind feedback! I followed this recipe exactly and it was a complete waste of time. It was the worst curry I’ve had and it was inedible. Hi Kerry! I’m sorry this recipe didn’t work out for you. This recipe is SO good! I think I have a new cool-weather favorite recipe! Hi Bryan! Thank you so much for trying this recipe!! Best Curry I’ve made so far! Hi Jesse! Thank you for trying my recipe! I am so happy to hear you enjoyed it! Hello! Can I make this in my instant pot? I saw you had a chicken curry recipe for the instant pot but I’d like to try beef instead. I’ve made this recipe twice already and I’m making it tonight for Christmas dinner with my family, it’s this good. It’s a little lengthy which is great to put everyone to work as we listen to holiday tunes and sip on hot glogg! Thanks for the recipe and happy holidays. Hi, I tried your recipe and my curry came out much darker! (Was still delicious) Was wondering if you could give some timings on a few things… Since the total cook time is 1hr and 40 minutes… but only 12 minutes of cooking are actually accounted for! Hi Nami. Great thanks! I’m only starting out with cooking so sometimes it’s a bit of a struggle if things aren’t black and white for me. I think the reason my curry came out darker maybe due to the rich beef stock I used instead of the normal stuff (lack of normal beef stock at my local supermarket). For my roux I just followed your roux recipe. I imagine it’s probably down to the stock difference! Either way it came out tasty and that’s all that matters! This is so good! I always use this recipe without modification when making Japanese curry. I want to try this recipe with your scratch curry roux but I’m scared to try because the red wine, bay leaf and worcestershire sauce seem unusual for curry ingredients… May I ask if sake would be an ok alternative to the red wine? Thanks, I made it with sake, and forgot to put in the Worcestershire sauce but it turned out great! 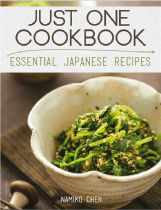 Thank you for being my #1 resource for Japanese recipes! I’ve loved everything I’ve tried so far: Azuki, Nikuman, Omurice, Kombudashi, Saraudon, Wafu Hambagu, Mapo Tofu and more that I can’t remember. Hello Snoopylover! I’m glad to hear yours came out well! Thank you very much for your kind feedback. And I’m happy to know that you tried many of my recipes. Thank you so much! I lived in Iwakuni, Japan from 1994-1997 while my husband was on active duty there. At first, living there was a culture shock but, a good one. The people there are so friendly and accepted us with open arms. I made a lot of friends there and still communicate. My favorite time there was camping and hiking, seeing the sights and enjoying the food. 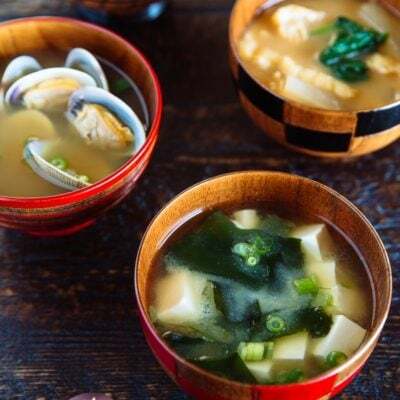 The Japanese people are very proud of their cuisine and show it off in a display, making it easier for tourists that do not speak Japanese to choose their item. Our favorite is Curry. The recipe here is the most authentic I have found in years. I make this about three times a month. My family loves it. We serve it with Sake. Thank you for posting this delicious meal. I did it! I did it! I made this! And my family devoured it! My son who’s a picky eater demolished 2 plates of it. My daughter who’s 8 and not a meat fan LOVED it. Thank you for this recipe so much!